Kia SA adds a new derivative to bolster its Sorento range’s with unrivalled practicality, functionality and value for money. Johannesburg – Kia South Africa has expanded its Sorento line-up with the introduction of the new Sorento 2.2 CRDI LS. The new derivative complements the range’s previous entry point, the Sorento 2.4 LS. 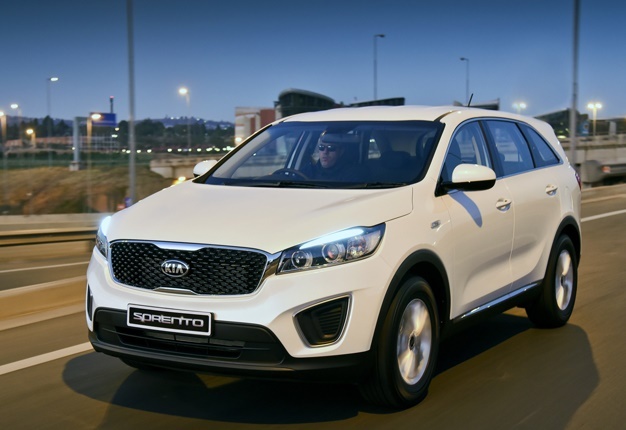 Originally launched at the 2014 Paris Motor Show, and introduced to South Africa in July 2015, the latest Sorento represents a new level for Kia vehicles. David Sieff, Kia Motors South Africa marketing director, said: "The Sorento remains a key model for KIA in South Africa due to our affinity for the SUV class of vehicles. Representing Kia’s next step up the quality and refinement ladder, it remains one of our most awarded models globally thanks to its unique combination of space, practicality and refinement, all factors that make owning and driving the Sorento a pleasure." The automaker claims the new Sorento 2.2 CRDi LS bolsters the Sorento 2.4 LS model’s strengths by combining practicality and functionality with the increased power, performance and fuel efficiency of Kia’s 2.2-litre turbodiesel engine and smooth shifting 6-speed auto. It's fitted with Drive Mode Select activated via a switch on the centre console. ‘Normal’ mode is best suited for day-to-day driving, while ‘Eco’ mode reprograms the shift points of the automatic transmission to achieve optimum fuel economy. ‘Sport’ mode allows the gearbox to delay shifting and reduces the level of steering assistance for a sportier feel. Niceties include a LCD screen located between two analogue dials in the centre of the instrument binnacle, a Radio / CD / MP3 player, multimedia ports for USB and AUX-in connections, and six speakers around the cabin. Rear seats feature a 40:20:40 split folding function, as well as a vast 660-litre cargo space. Priced at R489 995, it also offers unbeatable value for money. The new Sorento 2.2 CRDi LS Automatic 5-seater is sold with a five-year/Unlimited km Warranty, with five-years/Unlimited km roadside assistance as well as a five-year or 100 000km Service Plan.